Friends that make a splash! 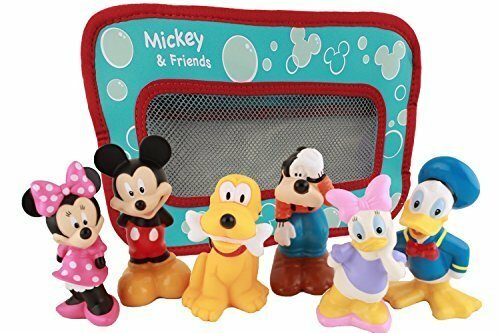 Here's a whole collection of best pals for bathtime play - Mickey, Minnie, Donald, Daisy, Goofy and Pluto too! All together in a cute bag that attaches to the tub, these toys will bring lots of joy! Minnie Mouse and the rest of her Happy Helpers are at their sparkling best in this figure set. 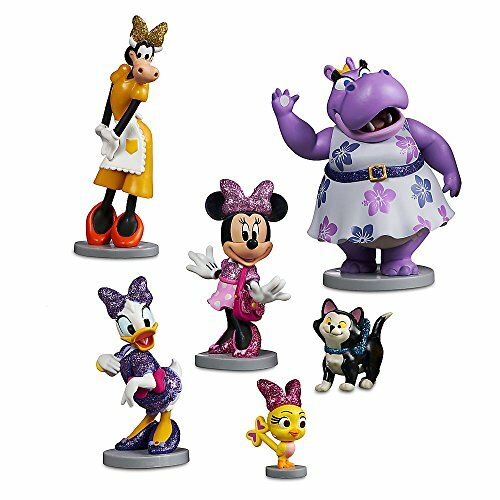 All six characters feature glittering accents so they'll dazzle when your little one brings their favorite Disney Junior show to life. Disney Gang bean plush 6 pack - officially licensed. 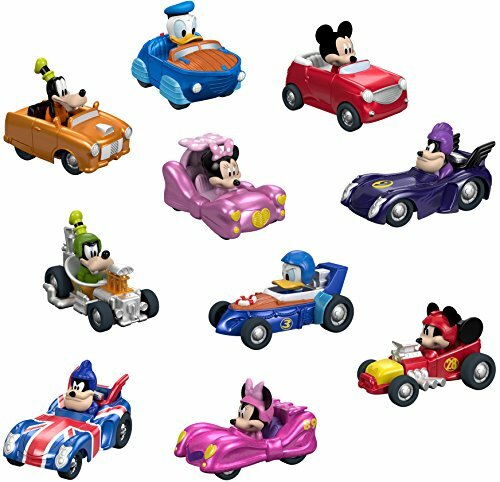 Includes Mickey Mouse, Minnie Mouse, Donald Duck, Daisy Duck, Goofy, and Pluto. 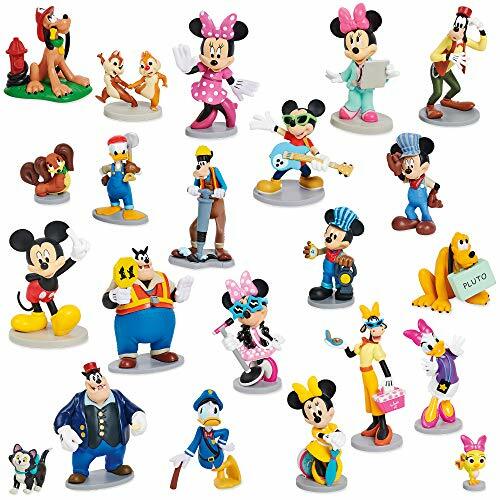 Characters vary in size, but are approximately 10" - 11" tall from the bottom of their feet to the top of their ears/bows/hats. Pluto is the shortest, because he is sitting, at about 8". When the dolls are sitting they are about 8" high. 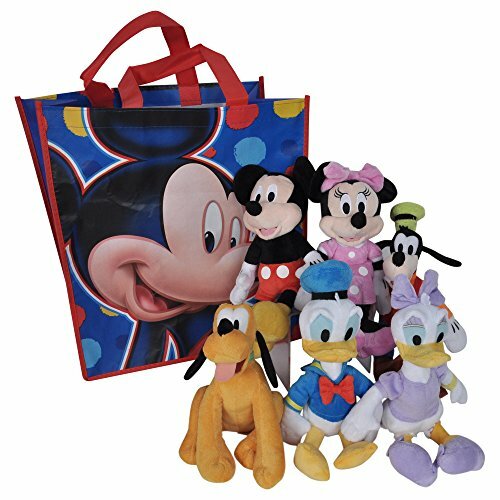 This set includes a large gift/tote bag to carry these Clubhouse friends. Now we got ears, it's time for cheers! 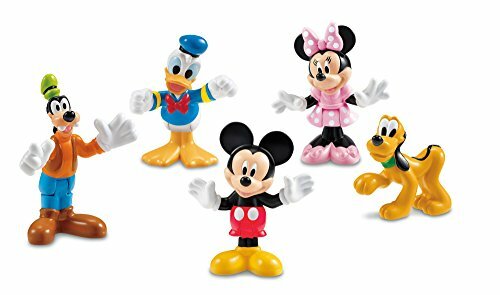 This Mickey Mouse and Friends Mega Figurine Set features the characters from Disney Junior's Mickey Mouse Clubhouse taking on imaginative roles that are sure to inspire little ones everywhere. Join Mickey Mouse and friends for shape-sorting fun! 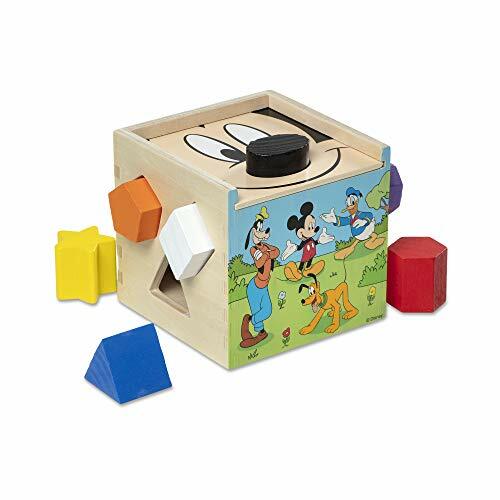 this classic shape sorting toy for toddlers features 9 cutouts with corresponding chunky, vibrantly-colored shapes that make a satisfying "clunk" as they drop into the natural-finish hardwood cube, decorated with Mickey (the black oval is his nose!) and other Disney favorites. Shapes are identified on the bottom to help kids two and older learn colors and shapes while developing important fine motor skills.